Alternatively titled: I'm obsessed with online shopping. Babylit books are on sale at Pick Your Plum for $5.49 a piece! I've heard nothing but good things about these books. I picked up a few for Ellie to start her collection, including the Frankenstein one to put away for a little Halloween gift I'm planning. Even though shipping was kind of ridiculous, it was still cheaper than getting them on Amazon. If you sign up for emails, you also get an extra 10% off! Speaking of books, I came across the book Mitford at the Fashion Zoo, which looks too cute. Definitely going to keep it in mind for when Ellie gets a little older. 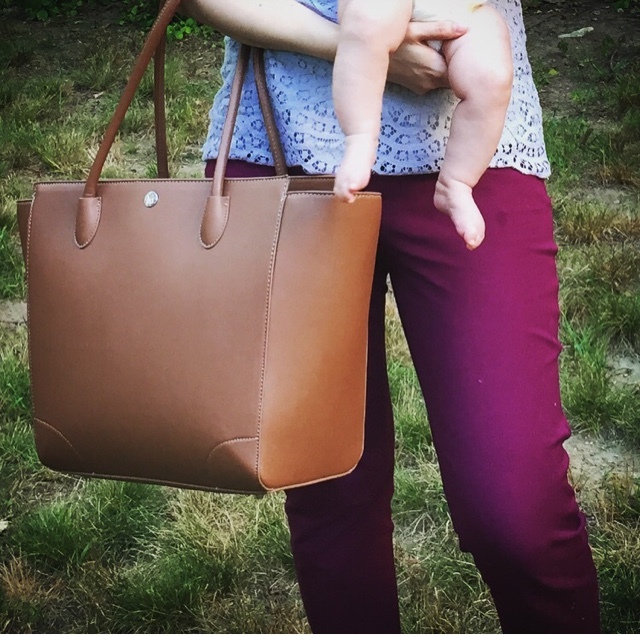 My "fall" diaper bag. It's definitely not just for fall, but I got it to replace a summery-looking light pink Old Navy tote I've been using with this insert (which I really do like, by the way). It's "vegan leather", and I love how it looks like a regular handbag. 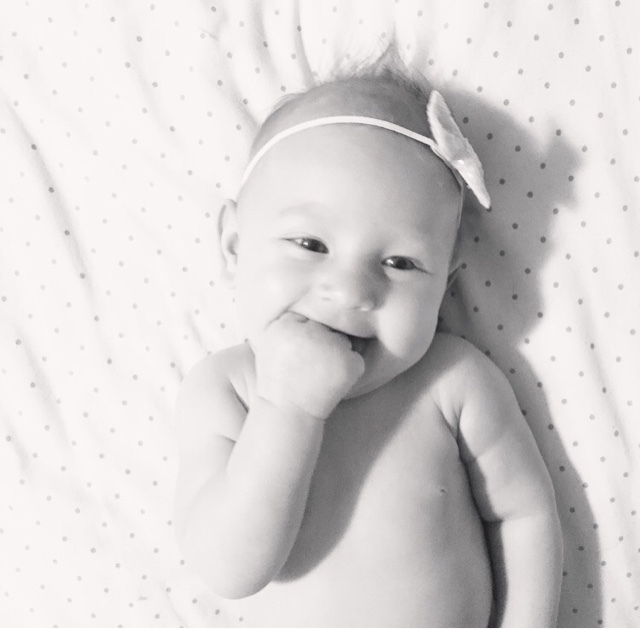 I got it from Little Unicorn, which is the same company that we bought our swaddle blankets from (that we LOVE). Also, if you happen to follow Little Unicorn on Instagram, did you guys see that someone made a dress out of their Poppy Swaddle? Check it out here - wicked cute. You know those huge swan and flamingo pool floats everyone and their mother seems to have? Well, I found these mini versions (swan // flamingo), available for pre-sale now. They're so adorable, but perhaps a tad expensive for a baby pool float. I'll be looking out for cheaper ones, now that I know they exist. 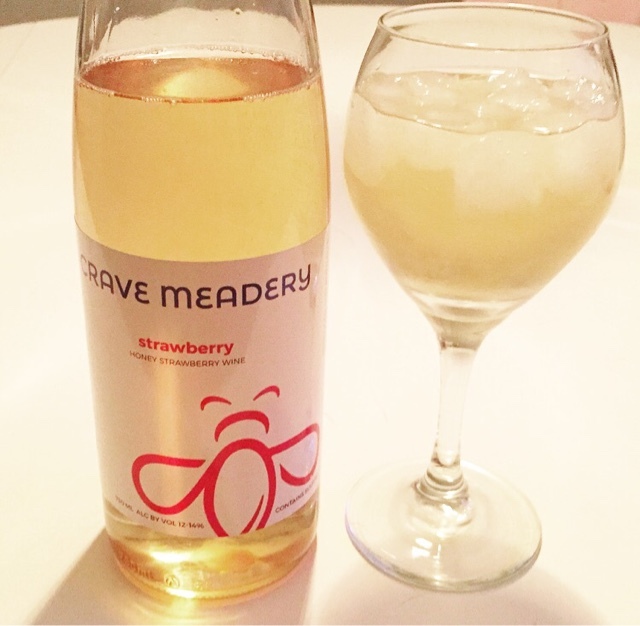 Our neighbor recently opened a new business, selling mead wine made from his own honey bees in his backyard. He brought over a bottle of the strawberry flavor last night, and while I only had a sip because I had to go feed my little beast, it was really good! We see him out there all the time in his bee suit, so it was cool to see the end product. :) If you're local, be sure to check them out! I totally feel you on the maternity pants! I have a pair (or two) also from old navy that I'll still wear once in awhile because they are SO comfy! (I mean, that's when I'm not wearing yoga pants which is almost always since I'm usually home & who needs real pants? Haha) I love love your new non-maternity ones though! 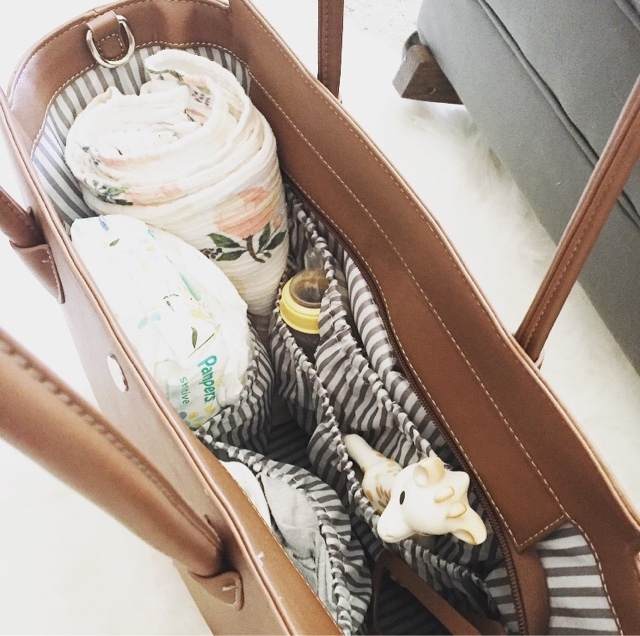 & the new diaper bag--super cute! Online shopping is so dangerous but so fantastic haha.